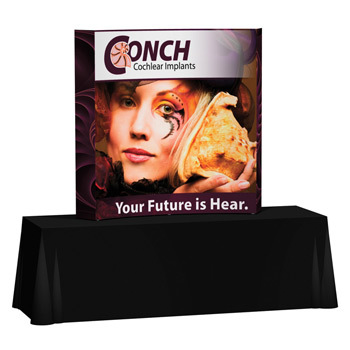 A custom printed tabletop display is the perfect solution when you're tight on space. 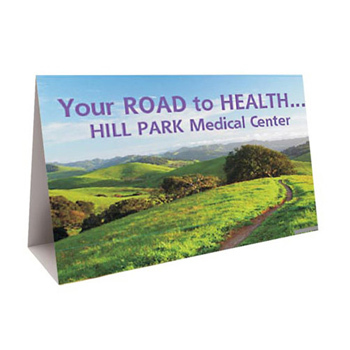 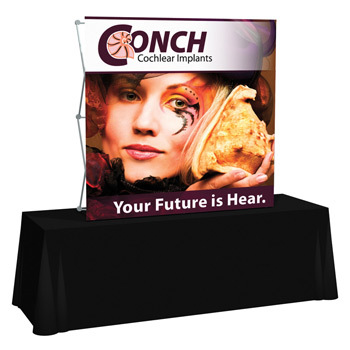 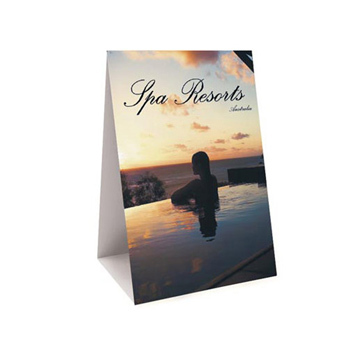 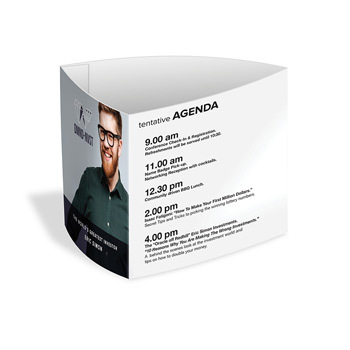 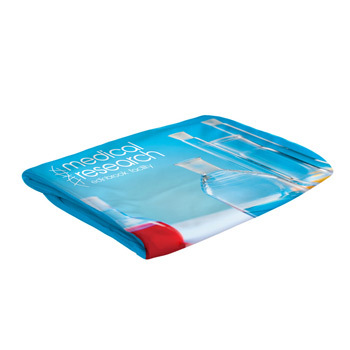 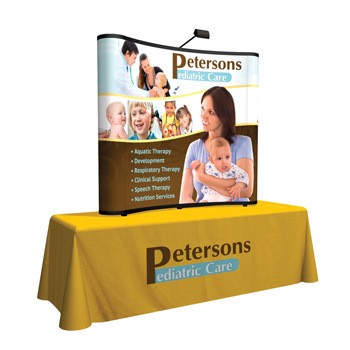 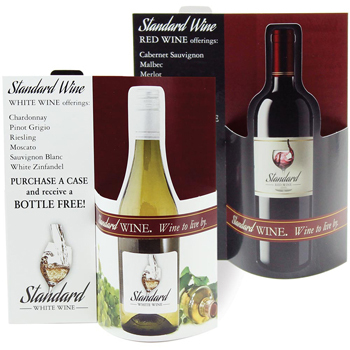 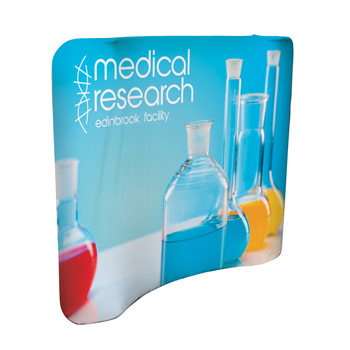 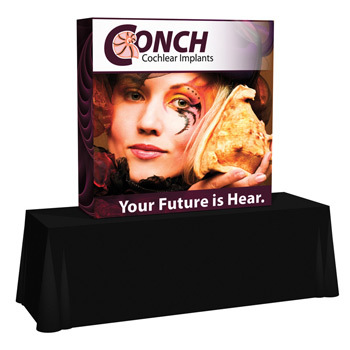 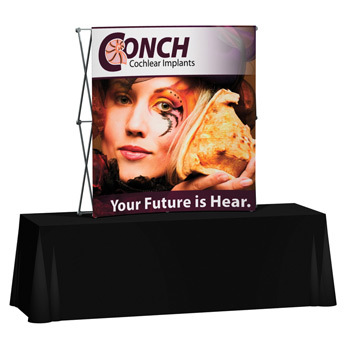 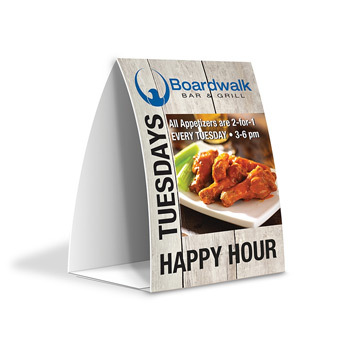 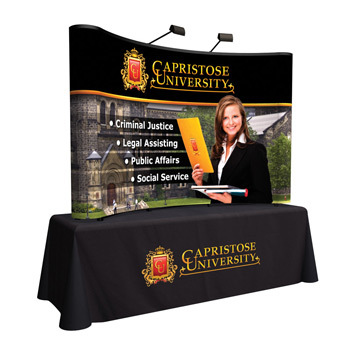 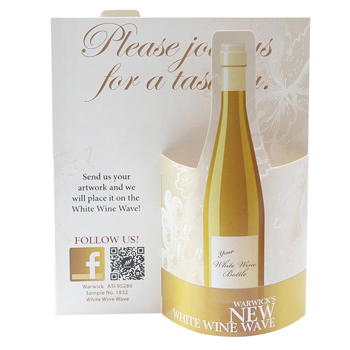 These branded tabletop graphics can be used in a smaller size booth or in a meeting room. 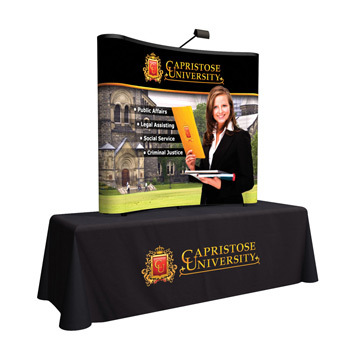 These durable graphics and hardware will last a lifetime.